After debuting the title track from their new album, Defy, this morning, Of Mice & Men have announced a winter headlining tour with support from Blessthefall, Cane Hill, Fire From the Gods and Mscw. The tour kicks off in Santa Cruz Feb. 1 and runs through March 7, wrapping up in San Diego. Tickets and VIP packages go on sale Wednesday, Nov. 29 at 10 a.m. local time here. 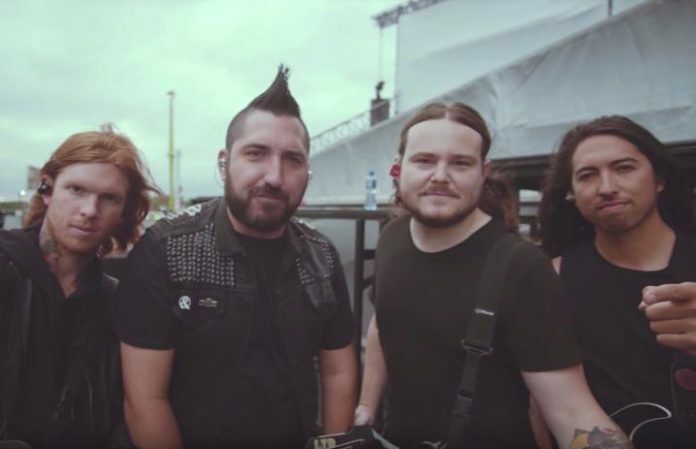 Their new album is set to be released January 19, and on their new track, vocalist/bassist Aaron Pauley says it’s all about fighting the feeling of hopelessness. Check out the full list of tour dates, along with the track listing for Defy, below. Where will you be seeing Of Mice & Men on tour next year? Let us know in the comments below!